A somewhat well-hidden cavern in the transitional area between Druadach highlands and Falkar Foothills. Purpose still unknown. Grant! Perhaps make this a wereboar shapeshifting tribe, you can put up a lot of boar pels and such. interesting idea, i will try this out! posting what i have so far, just so you know i have actually been working on this. *update* i restructured the cave a bit. this is pretty much finished. the reachmen inhabit some generic sleeping areas, a room for an alchemist, a "magical" well and a room where rituals are performed. there is a "secret" tunnel to the southwest that can only be reached via levitation form below or falling down. the idea is that this connects to Angturiel, functioning as an alternative exit (or entrance). 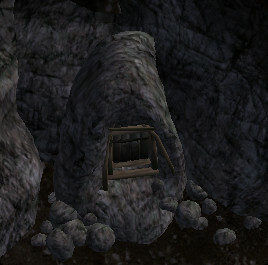 small edit: corrected the rotation of the entrance to Angturiel.